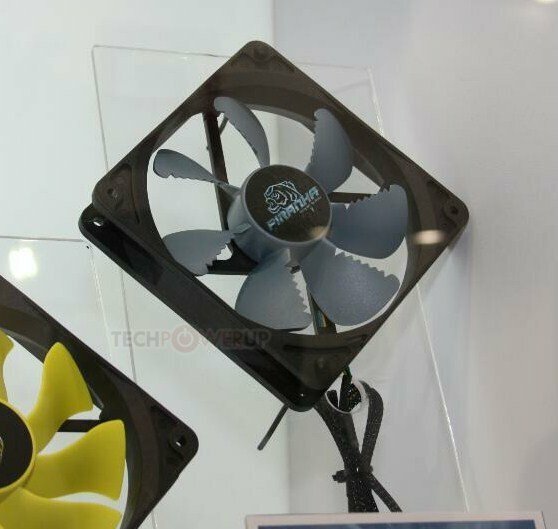 TPU got to see Akasa's new Piranha case fans, which use a new impeller blade design with teethed edges and broad blade ends to enhance airflow. Called the Piranha, the new fan design by Akasa relies on a new impeller blade design with teethed edges and broad blade ends, which work to increase air-flow, which can then be traded off for lower speed and lower noise. Akasa initially only has a 120 mm (120 x 120 x 25 mm) model. It supports PWM control, and draws power from standard 4-pin connector.